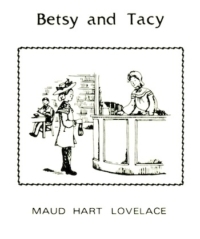 Maud Hart Lovelace’s Bookplate. Reproduction autographed bookplate of Betsy visiting the Carnegie Library, illustrated by Lois Lenski. 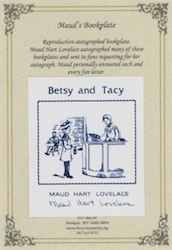 Maud Hart Lovelace autographed many of these bookplates and sent to fans requesting her autograph. Maud personally answered each and every fan letter. From the BTS Archive Collection.